In that way, the retail behemoth is like most other national chains. From Costco's famous "treasure hunt" layout to Bullseye's Playground at Target , most retailers are eager to tempt customers to spend more. 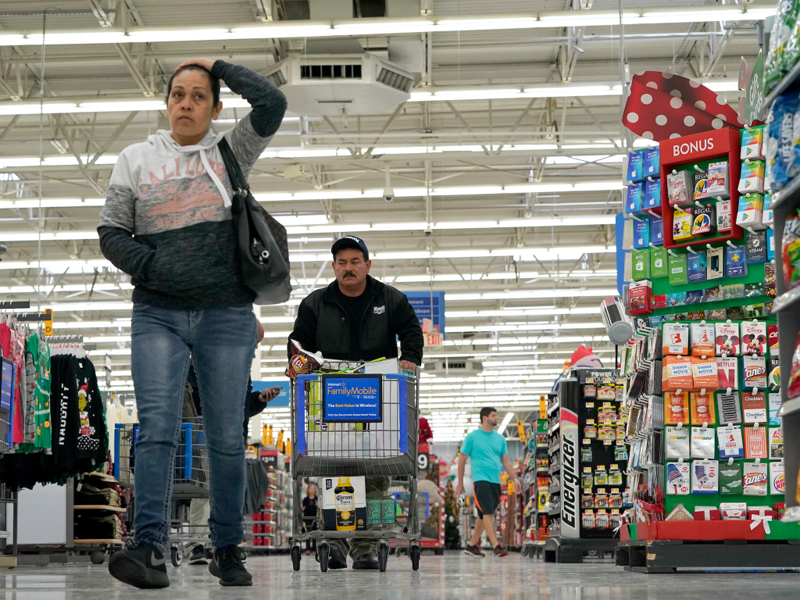 Walmart often gravitates toward listing prices just below whole numbers — like $3.94 instead of $4 — to give the impression that the shopper is getting a deal. Walmart's bakeries are often at the front of the store. According to 24/7 Wall St., the smell of baked goods creates a "warm and inviting" atmosphere as you first embark on your shopping trip. 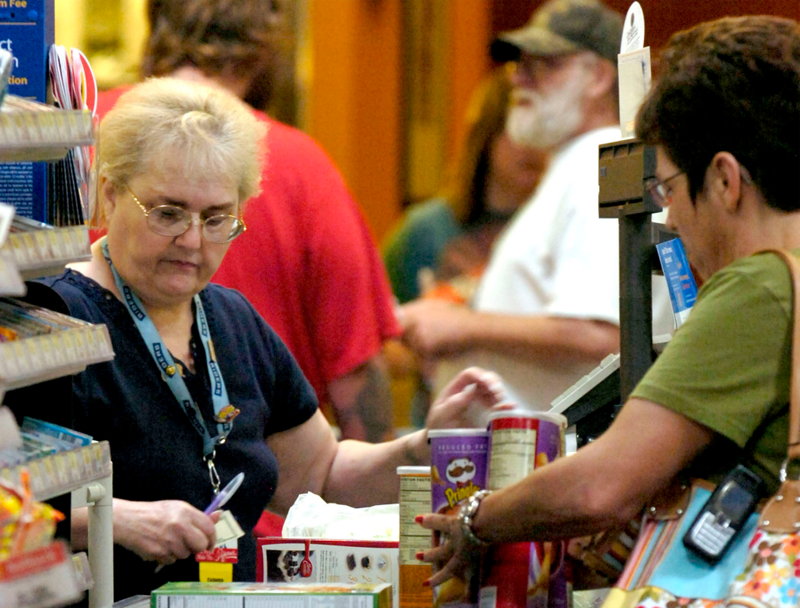 Many retailers have caught onto the concept of a "store-within-a-store." 24/7 Wall St. reported that these areas are "decorated differently" to help the products contained within "stand out" better. 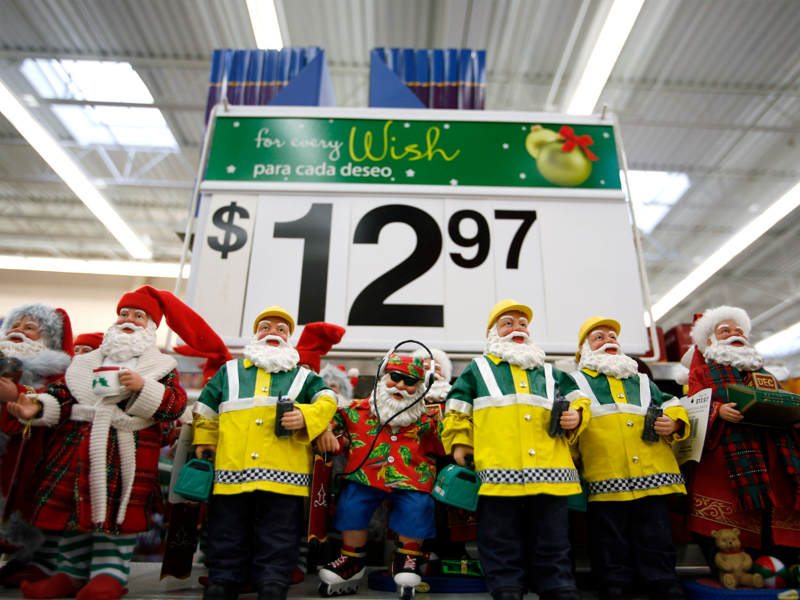 24/7 Wall St. identifies Walmart's "consistent" rollback and pricing signage as a savvy tactic. Because shoppers can easily identify what's on sale, they're more drawn to buy those items on impulse. After all, who wants to miss a bargain? 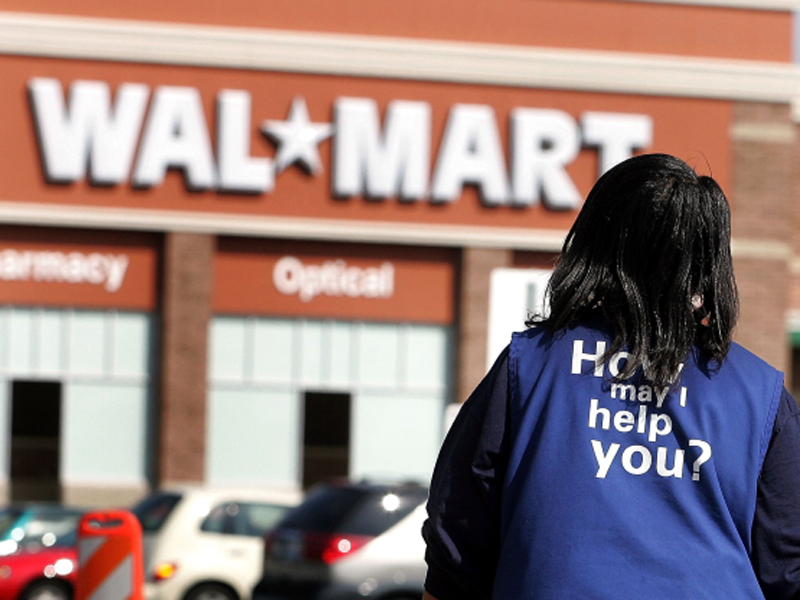 Walmart has good reason to push consumers to download its mobile app. 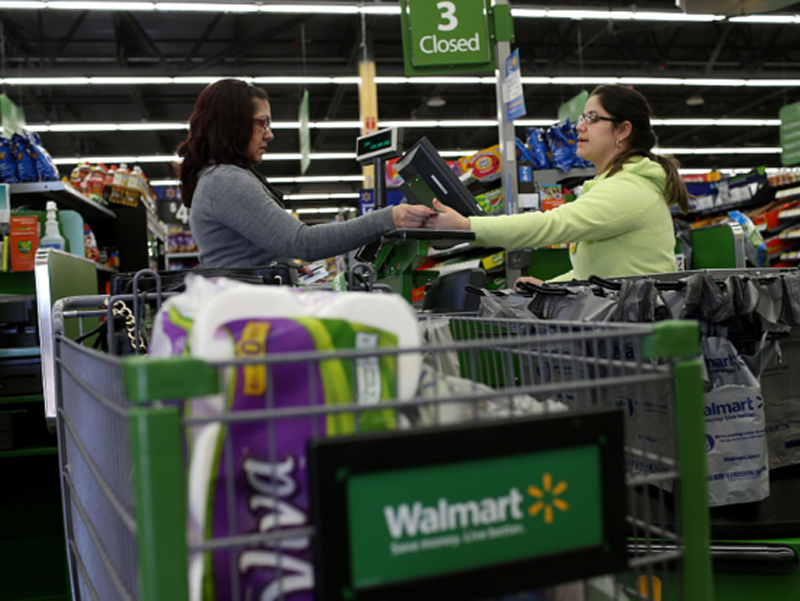 Shoppers who use Walmart's app spend 40% more than customers who don't, according to Retail Dive. 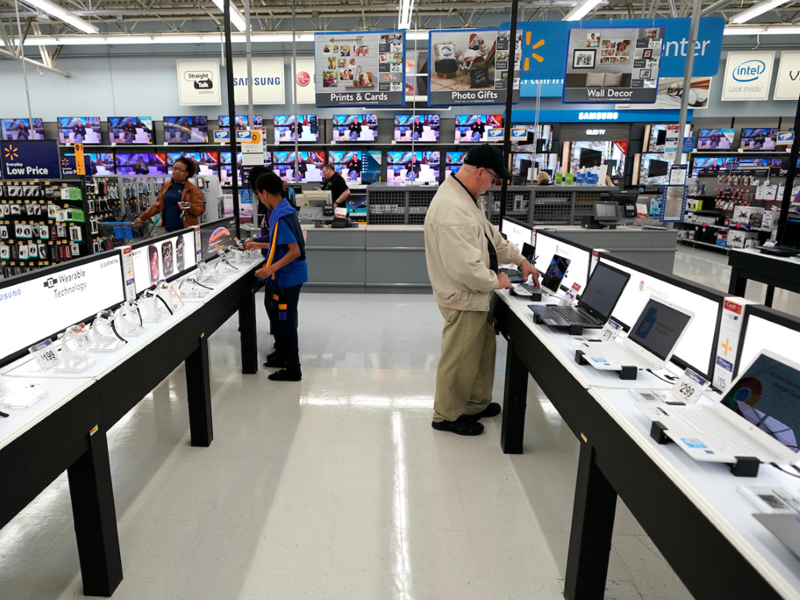 Walmart stores get consumers in the mood to shop by playing a variety of "calm, soothing" tunes or poppy Top 40 hits. Walmart supercenters are notoriously massive. 24/7 Wall St. reported that this very fact can force shoppers to wander around the store in order to find products on their list, and thus "look at other items they had no intention of buying." 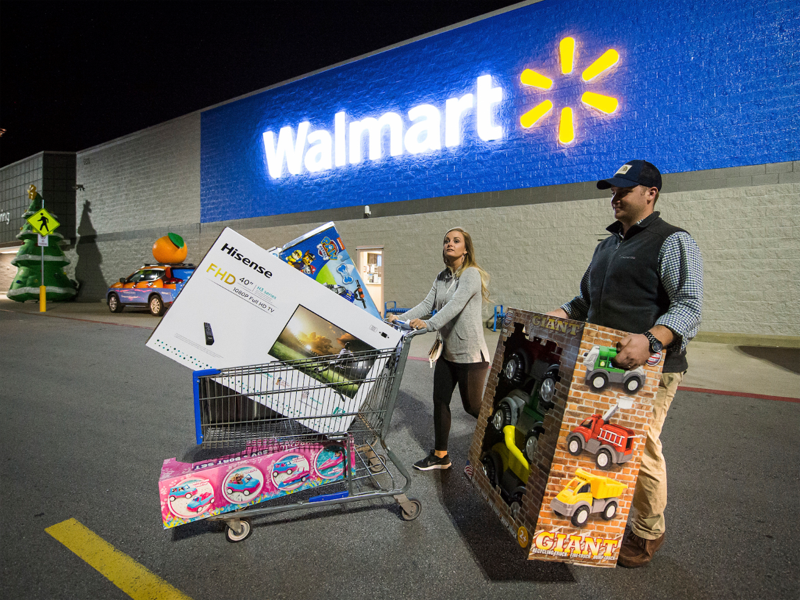 Like most chain retailers, Walmart stocks up on "impulse" buys like candy, tabloids, and toys by the registers, according to 24/7 Wall St. These small temptations are designed to get shoppers to pick up one last thing before paying for their purchases. 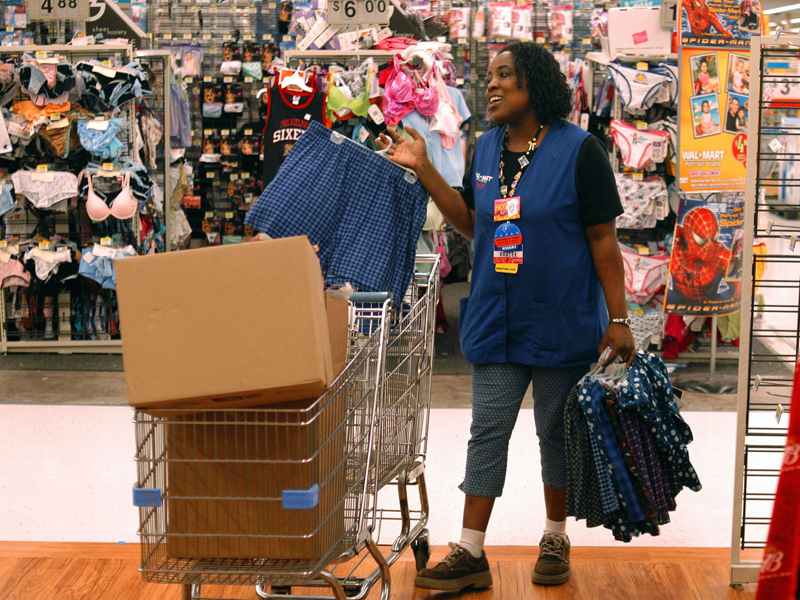 To court consumers who want to avoid trudging around the store, Walmart has set up a pick-up service. 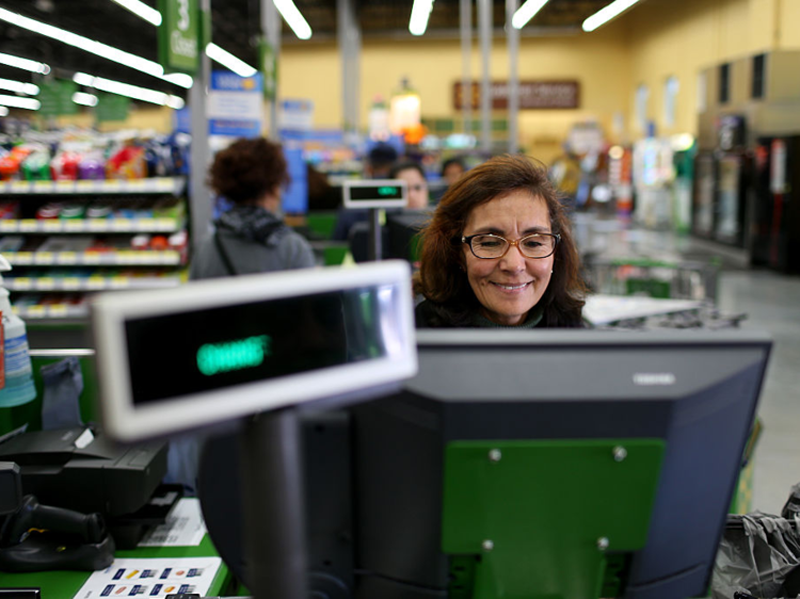 This store pick-up program could entice customers to buy even more products, since they won't be the ones who have to lug the items around in a cart. 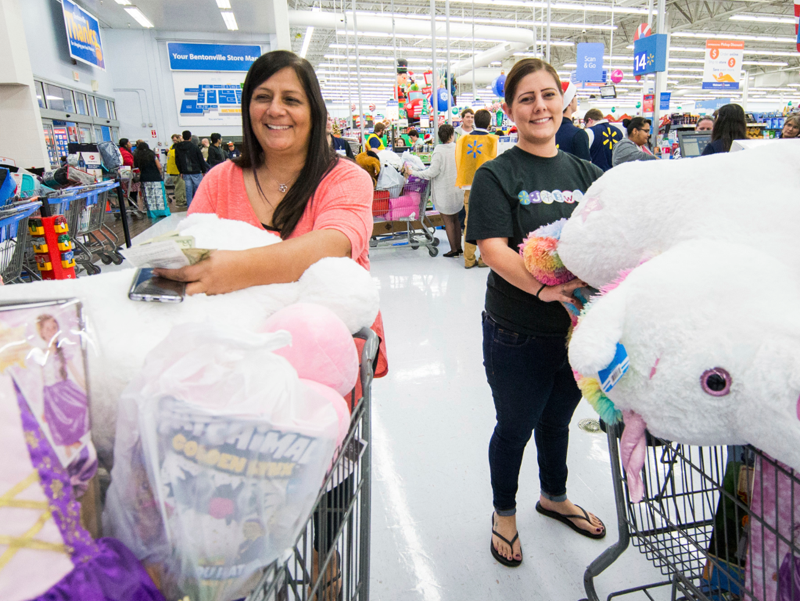 An effective returns policy can tempt shoppers into making bigger, riskier purchases, as they can rest assured that their money will be refunded if things don't work out. 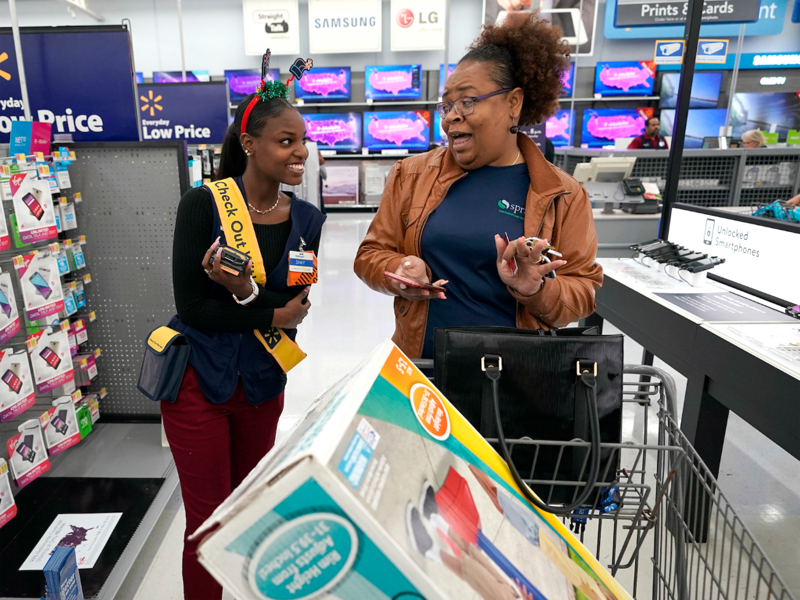 The Krazy Coupon Lady blog recently published a note on how Walmart's mobile express returns policy can help you skip the line at the store's return desk.